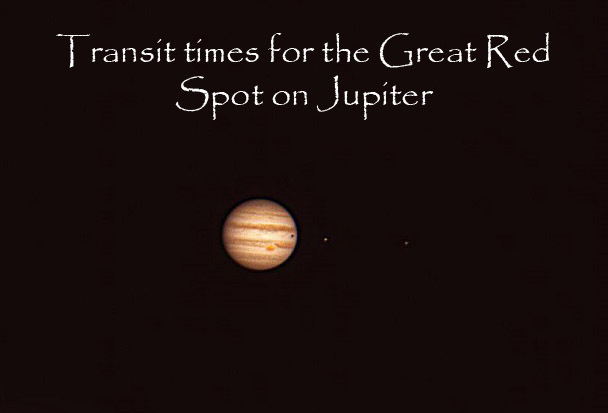 If you have a telescope it is possible to view the Great Red Spot as it transits across Jupiter. The spot isn’t always viewable as it moves around the Planet. The spot can be seen for around two hours before, as it approaches the meridian and two hours after. Check what times Jupiter is visible from/to; the red spot can be seen within a 4 hour window but Jupiter may not be visible at the time it crosses the meridian.